"TA-DA! My napkin matches my dress!" The girls have no holding back and get to wear whatever they choose from all the fanciest items they have. This year, Emma is beginning to coordinate and get a little more sophisticated with her fanciness. Hope...she was all over the place! Changing her mind a million times before we left. 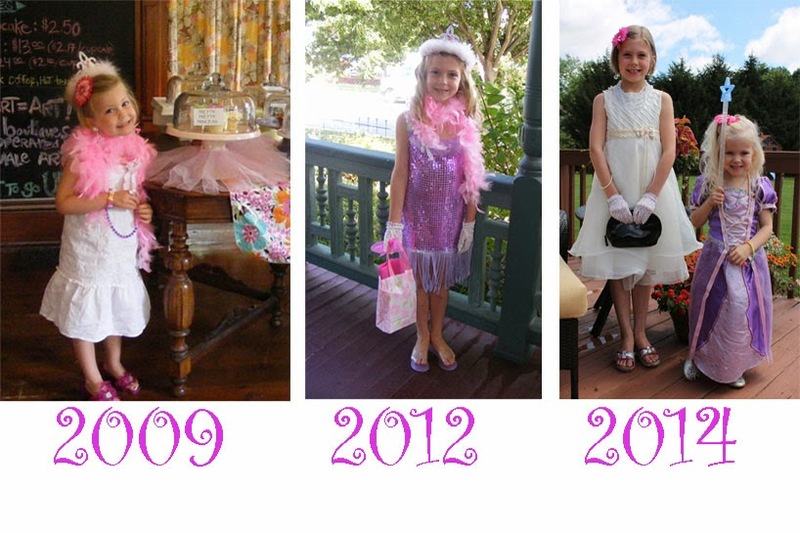 Tiara, no flower...purse, no wand...princess shoes, no sparkly shoes.....oh MY! A fancy lunch at Serenity Tea House in Zionsville. And a lovely walk alongside the brick street...I just love my poised girl and my skipping gal. xoxo And of course, we didn't turn annny heads. oh-la-la! After our walk, we ventured (that's a fancy word for go) to the Flying Cupcake in Carmel for a scrumptious (that's a fancy word for good) dessert. And what would top off this fancy day? None other than a tea party with some of our finest friends. Popcorn, grapes, and cherries served with tea (water) and sugar cubes (mini marshmallows). And there you have it. Fancy Nancy Day 2014. When I asked the girls their favorite part of the day there were two different answers - surprise! Emma, my darling Emma, loved "getting dressed up." Hope, without a second to spare, replied, "CUPCAKES." Sometimes turning 4 takes a whole week. In a picture or in a brain? What's bundled up in that blanket?